The Highway / Forestry Department is the public works department for the Village of Chenequa. The job title has been split to better define the two distinctive types of work with particular emphasis on Forestry. The wooded hills and tree-lined roads are two of the features that set Chenequa apart from other communities. When the Village was formed, steps were taken to preserve the natural beauty of the area. Among the first positions filled was that of a Village Forester. Immediately, an ordinance was passed to protect the vegetation along the roads. Additionally, several part-time employees are used during snow removal operations. The Forester is responsible for the maintenance and development of the “Greenbelt” along the public roads, which serve as a naturalized barrier between the residences and the highway. The “Greenbelt” ensures privacy and preserves the rural aesthetics. The oldest Greenbelts planted in the 1930’s contain mature trees and have melded into the natural landscape. Cody Lincoln, is a full-time employee of the Village since 2016. He is responsible for oversight and management of shoreline protection, identifying tree disease and management of tree diseases, as well as lake treatment and various other duties such as Public Works and Highway Department needs. Other areas Cody is responsible for are: the Deer Management Program, the Tree City and Bird City certifications, review of building plans and impacts they may have on the lakes, assure proposed driveway accesses are compliant for public safety vehicles, oversees all building and maintenance of village owned property, responds to village residents complaints or needs as required, works and coordinates with other local, county and state officials as it relates to village activities and services. Cody Hagfors, is a full-time employee of the Village of Chenequa since 2017. 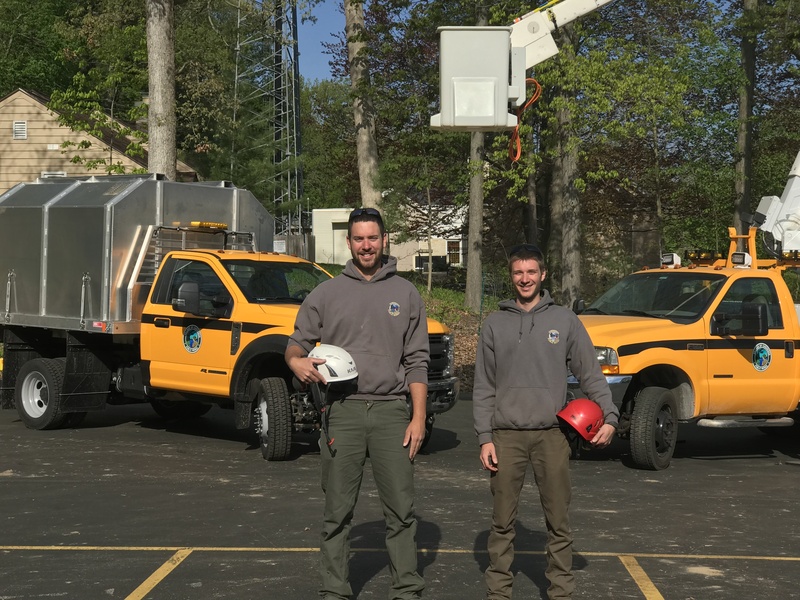 His role is to assist the Village Forester with all of his duties, including responding to resident requests, maintaining trees along the roadways, identifying and managing tree diseases, shoreline management, village property maintenance, snowplowing, and other Public Works tasks. 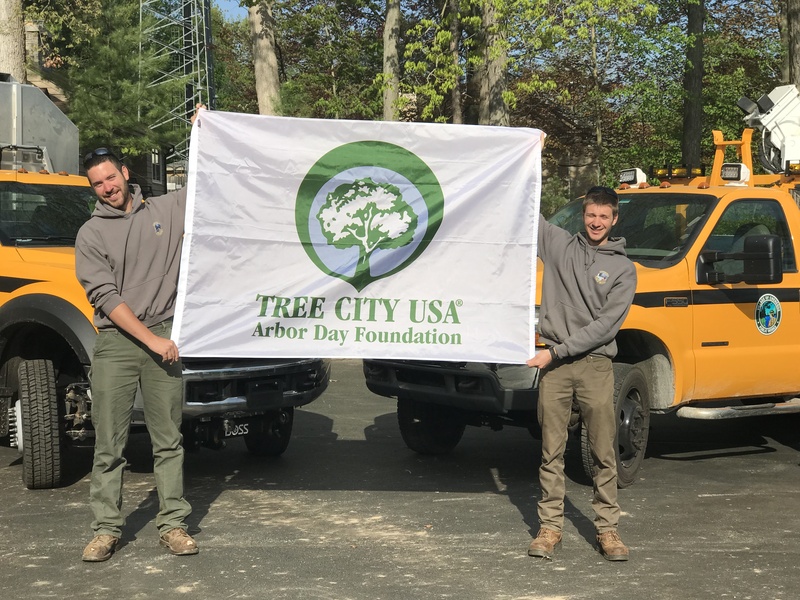 Tree City USA – Celebrating Arbor Day! There is an entire section on this site dedicated to all Water information under Lakes. Wood chips and logs are often created as a byproduct of the Highway/Forestry Department’s daily operations. If you would like either of these products, please call the Chenequa Village Hall to request them. The wood chips are not professional quality and the logs will vary in species, diameter, length, and will not be of any marketable timber value. The Highway/Forestry Department will deliver these products free of charge to anyone within a reasonable distance from the work site. They will be made available on a first come, first served basis, only as a surplus of these products is created. Many of the Norway Maples have dark spots on the leaves or the leaves appear brown and dead. This is a leaf fungus known as Tar Spot. This is primarily an aesthetics problem and little harm is done to the trees. For more information contact the Village Forester or download this UW Extension PDF. Just recently ash trees around the state have been prematurely dropping their leaves shortly after the trees leafed out. Due to loss of leaves, affected trees have a thinner crown compared to nearby broad-leaf trees of different species. Read entire document.